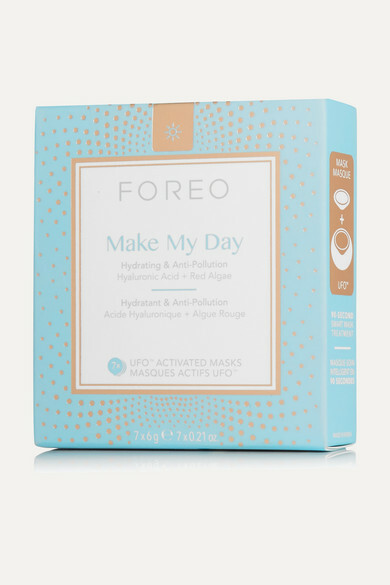 Foreo's anti-pollution and hydrating 'Make My Day' masks are perfect for boosting your complexion first thing in the morning. This 90-second treatment is infused with a quenching blend of Red Algae and Hyaluronic Acid that instantly plumps, energizes and protects your skin from environmental aggressors. Designed to be used with the label's 'UFO' device, this pack of seven is made from soft ultra fine microfiber that glides smoothly across your face and leaves you feeling refreshed and rejuvenated.